One night, when I was a kid, I got in an argument with the bulk of my father's family. I felt slighted and desperate, and I ran to my grandpa, who was just waking up to go to work--third shift in the boiler room of a psychiatric hospital--and cried into his shoulder. He wrapped his arm around me and sleepily told me not to let them get me down. It would be alright. I sat on the bed next to him in the dim light and sobbed. This argument was only the latest in a long line and it certainly wouldn't be the last. But, through it all, my grandpa was a rock. When I was a kid, my grandpa collected the family's cans and took them to the recycling center once a month. He wore a driving cap when he drove. And suspenders. When I was a kid, and my parents were still married, my grandpa was kind to my mother. He treated her like a daughter and never said a bad word about her (at least in my presence) after my parents divorced. When I was a kid, my grandpa made breakfast--biscuits and thick gravy--and it was delicious. When I was a kid, I sat in the living room on Saturday afternoons and watched Westerns with my grandpa until he fell asleep in the recliner. When I was a kid, my grandpa was a dedicated family man and madly in love with my grandma. 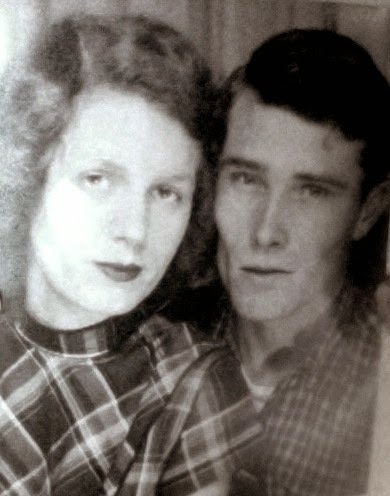 Theirs was the most loving and generous marriage of my entire family. When I was a kid, my grandpa retired and took up video games. Together, he, my cousin, and I played hours of Mario Kart, Tomb Raider, and Resident Evil. Later, my grandpa took up the Metal Gear and GTA series and, as far as I know, played every Tomb Raider sequel. Whenever I visited, he would hand me the controller. "Ashley, can you get through this level? I can't get through this level." At this point, he was better at video games than I was. My only hope was the internet and the 1999 version of walkthroughs--we didn't have the YouTubes back then, kiddos. Eventually, I got busy with high school and college and my own marriage. I moved out of town and my grandparents did as well. The tumultuous relationship I'd always had with my family became a relationship more of silence than anything else. It was my choice. 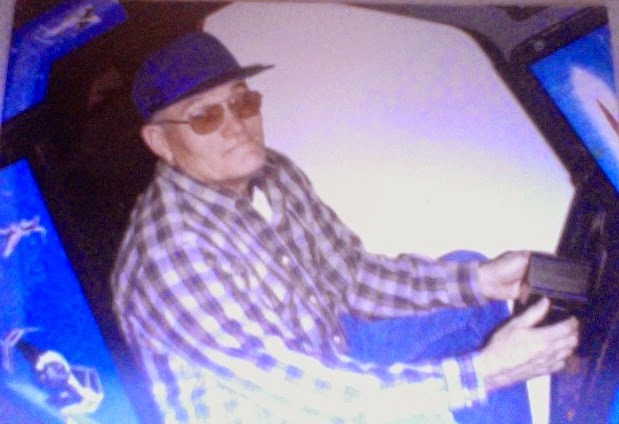 My grandpa died today. And I live three thousand miles away. The funeral is Friday, in Kentucky, but I live in California and, the thing is, I'm awful at funerals. Even if I could go, I would be useless and awkward. I think, "I'll send flowers." And I go to the "Sympathy" section of the flower-ordering website. But nothing seems adequate. Pale bouquets with pastel ribbons seem dreary and depressing. My grandpa was not dreary and depressing. He was cheerful and stalwart, tough and vibrant. The carnation wreaths, rose crosses, and dusky sprays all look... Damn it they all look like funeral flowers and funeral flowers mean that someone has died and then I realize again and again that my grandpa died today. My grandpa died today and my friend Jim, a Jesuit priest, contacted us to see if we could go out next week. Scott answered that we weren't sure, that we'd just had a death in the family. Jim offered his condolences as a friend and his services as a priest--could he say my grandpa's name in his Mass this week when asking for prayers for families? I replied yes and then, as I said my grandpa's name out loud, I burst into tears. 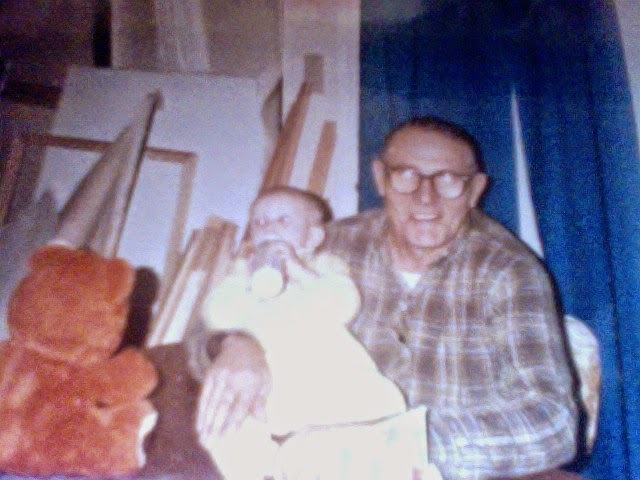 My grandpa died today and I am still the little girl who cried into his shoulder. Yes. He was a Rock. Yes, he was so kind. XXXOOOXXX I'm so sorry for your loss. Thank you for sharing those memories with us. Sending you comfort. I am so incredibly sorry for your loss. Your post is a beautiful tribute to your grandfather. Thank you for sharing this little glimpse of him with us. Oh, Ashley, this broke my heart. I recently lost my Dad. I can only offer an Internet hug, a nod of understanding, and my heartfelt condolences. It is something unexplainable, this part of life, that no one can tell you about until you feel it yourself. All I know if that how we deal with it matters. ("...at least as important as how we deal with life.") My Dad's funeral was a comforting experience for me. I was so touched to see my cousins there with us, my Aunt and Uncle who cared for him, my brother and his wife who came from halfway around the world, the other people who love him, his new fiance...and my sister who I had been estranged from for many years. My Dad had long wanted us to reconcile. Now we talk. Now.